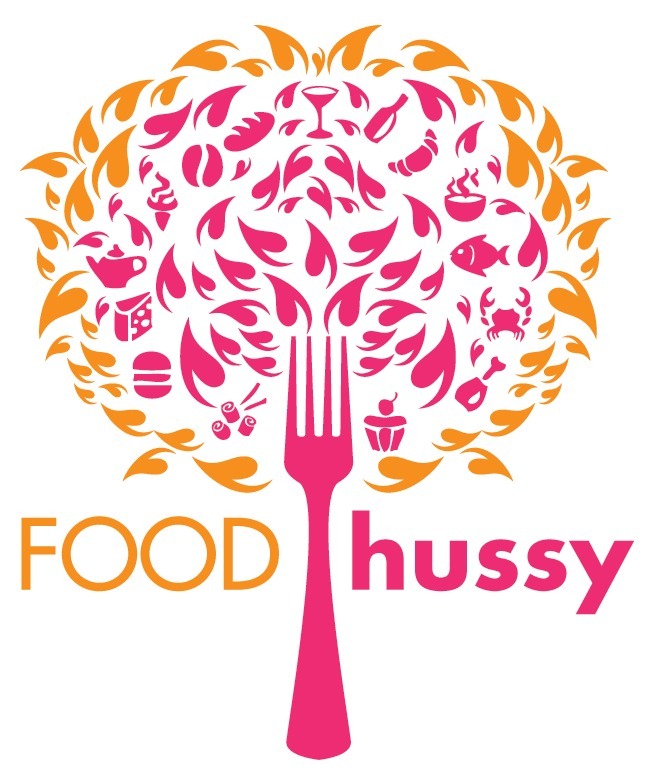 Food Hussy Recipe: Potato, Kale & Sausage Soup | The Food Hussy! 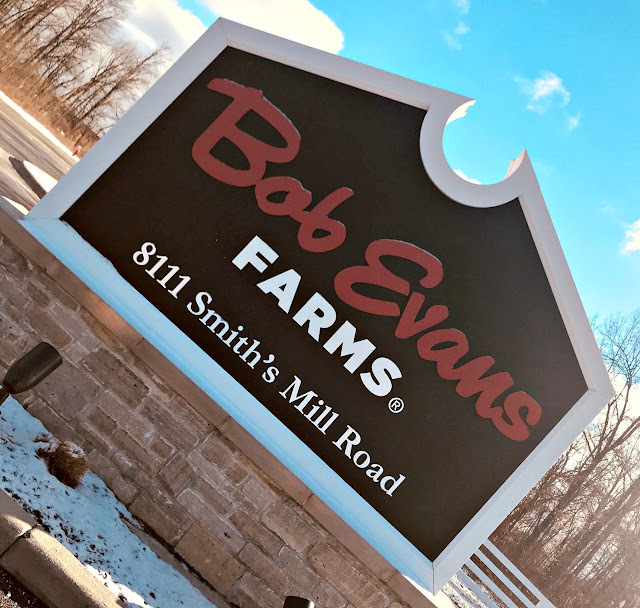 Last week I was invited to Bob Evans Farms up near Columbus - this is the offices rather than an actual farm - but it's where the test kitchen is and cool stuff like that! I got to road trip with 3 other Cinci bloggers - so that is always a blast!! We never get to hang out together in a group - so four hours in a car together was wonderful! The visit was arranged by my friends at the Ohio Pork Council as a way to get farmers, bloggers and brands together to chat and get to know each other. We found out a lot about how the piglets are raised, where they go as they grow and what they eat. I think my favorite thing when meeting with farmers is realizing that when I buy pork at the grocery store - I'm helping small business owners. In addition to hanging out and chatting - we got to eat! There was quite a buffet set out for us and all of it had ingredients from our hosts, Bob Evans! The Penne with Sausage and Spicy Tomato Cream Sauce was really good and is a super quick meal! We had to have dessert as well - this one is pork-less but I have to say - almost my favorite of the day. These are Sweet Potato Cookies!!! 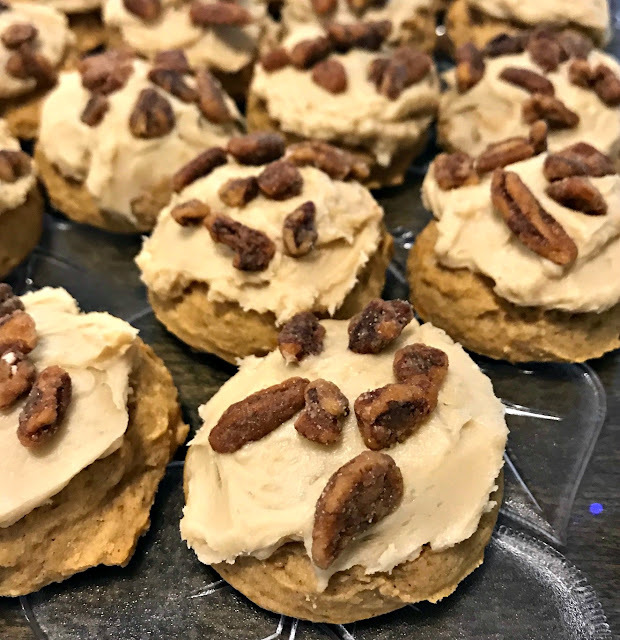 Yes - they're made with Bob Evans Mashed Sweet Potatoes and have a maple frosting with candied pecans on top. I have to say - they were soooooo good! They were dense little guys so I thought they would be super heavy - but they weren't! They were really light and the maple wasn't overpowering. These cookies were awesome - and what a secret ingredient!! If you've got a kid that doesn't like sweet potatoes - make these - they'll be SHOCKED!!! It was a great - lunch - there were also these fantastic little Asian Maple Sausage Meatballs that everybody was raving over. They were zingy & zippy - I liked them a lot. My friend Jill shared the recipe on her blog, Foodtastic Mom. 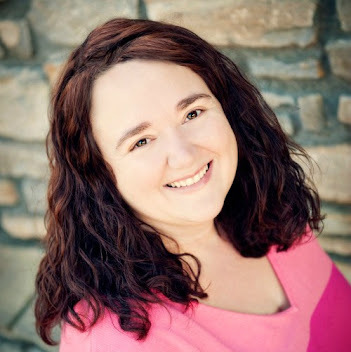 My other blogging friend Jen tried their Shepherd's Pie recipe - um - yum!!!! After filling our bellies, we headed over to the other building and got to check out the Bob Evans test kitchen. And let me just say - there was a gravy dispensing machine in there!!! I couldn't fit it in my purse dammit! They actually have two new Family Classics meals coming out. These are in the refrigerated section - near the mashed taters and mac & cheese. 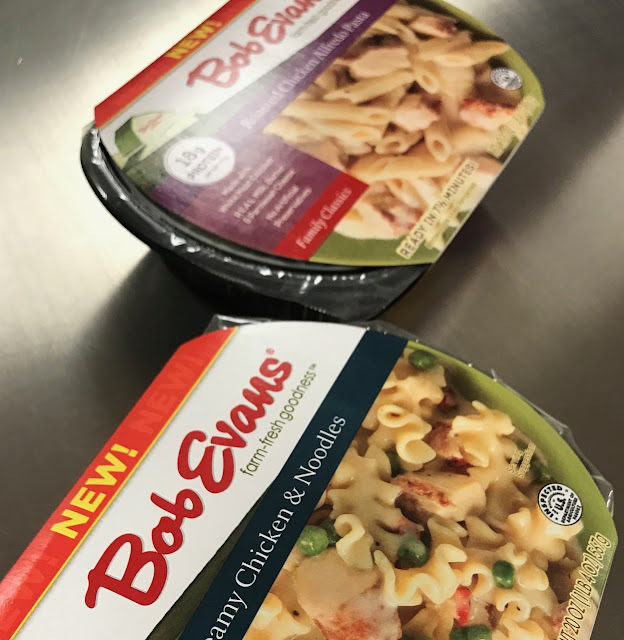 We were among the first to see these but they should be getting into stores now - so keep an eye out for the Creamy Chicken & Noodles and Roasted Chicken Alfredo Pasta! 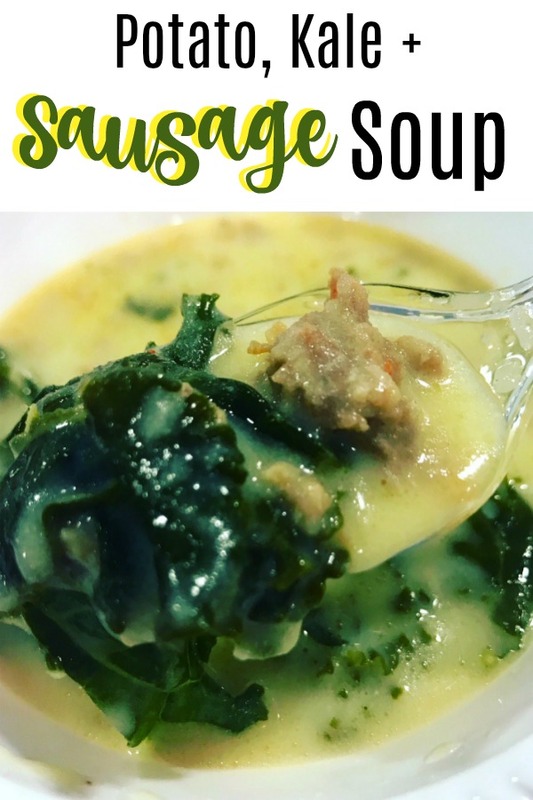 The one recipe that was shockingly my favorite for the day was the Potato, Kale & Sausage Soup! It was made with Bob Evans Roll Sausage AND their Mashed Potatoes!!! I loved the element of the mashed potatoes - it really made a creamy thick soup - which I love. And the shocking part is that the Kale wasn't gross!! Bhahaha. I could even see adding some sauteed mushrooms to this. I might leave out the jalapeno because I don't love spicy - but I left it in for you guys in case you do like some spicy in your world! I hope you enjoy the soup and the other recipes as much as I did. Thanks again to Bob Evans and the Ohio Pork Council for having us. It's always fun to get out of work for a day and get to hang out with my blogging hussies!!!! Soup made with mashed potatoes? Yes! Cook the zesty sausage in a medium sized frying pan over medium heat using a potato masher to break into crumbles. When fully cooked, drain sausage and place on paper towels to absorb grease. Allow to cool and set aside. Melt the butter in a heavy stock pot over medium heat. Stir in the onion and sauté until translucent, about 3 minutes. Stir in the jalapeno and continue to stir and cook for 2 minutes. Pour in the broth, cover the pot and allow the mixture to simmer for 20 minutes. Add mashed potatoes and stir in until fully incorporated. Simmer for an additional 10 minutes. Stir in the sausage and heavy cream to fully incorporate, bring soup back up to a simmer. Stir in the kale, cover the pot and turn off the heat. Allow kale to wilt, about 8 minutes. Season with salt and pepper to taste and garnish each bowl with a dollop of sour cream and sliced chives.